Contained a Black Princess Loco, Three 7" Coaches, R61 Signal Box, R80 Station Set, R62 Waiting Room, R68 Station Fence, Oval of Standard Track, R41 Battery Box and R42 controller. 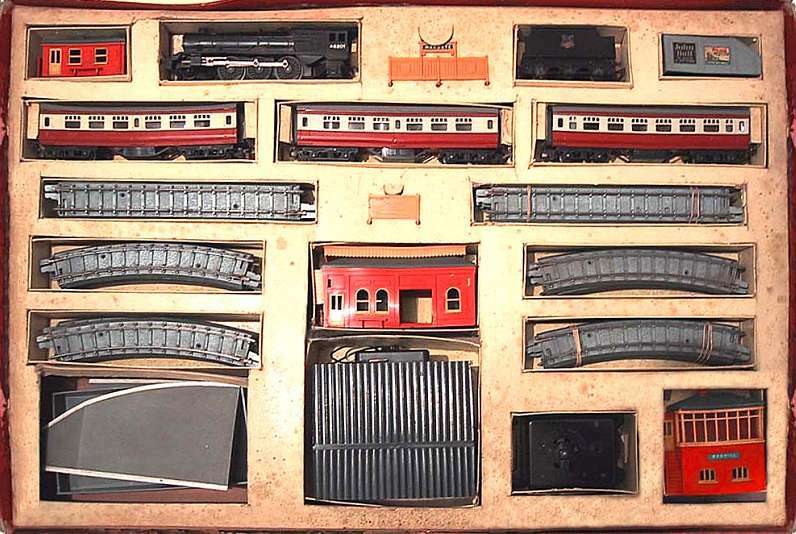 This major set, the biggest ever made, was released in 1952 and became known as "The Rich Uncle Set" due to its cost. The Track included the very short lived 8 1/2 inch Standard Track straight.